Bounty or Charmin Rolling Extrabuck CVS Deal - Only $0.74 each - 3/3-3/9. Get $59.58 Worth of Name brand products for Only $13.94, That's $0.74 each when you buy all 12 items a savings of 77% at CVS 3/3-3/9. 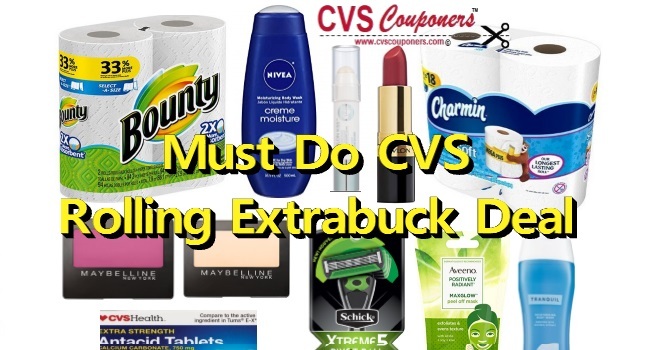 Try out this Super HOT Rolling Extrabucks Coupon deal idea we came up for you and score Bounty, Charmin, Revlon, Maybelline, Schick, Nivea, and Aveeno select products for $0.74 each.